DeatschWerks fuels your passion for performance with fuel injectors specifically designed and engineered for your Sport Compact, Modern Muscle, and European vehicles! 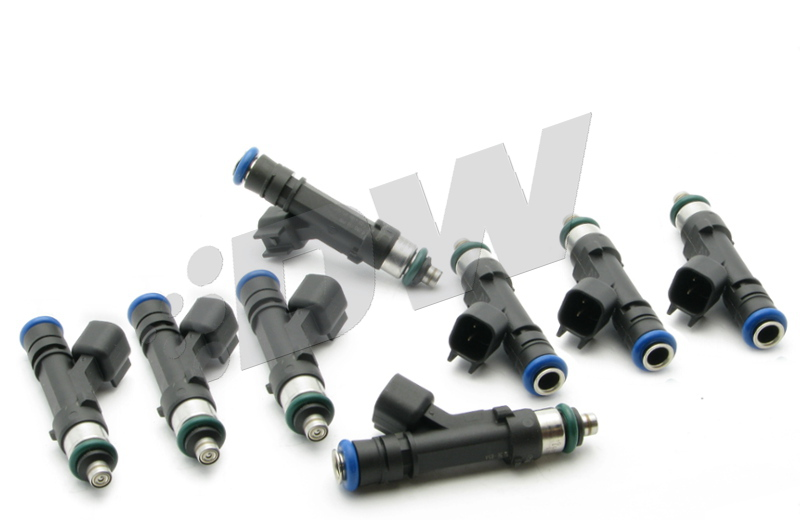 DeatschWerks fuel injectors are manufactured to fit your OE harness, fuel rail, and manifold. Because they are application-specific, you'll spend less time installing and tuning, so you can spend more time enjoying the increased performance of your ride! DeatschWerks fuel injectors provide an excellent spray pattern and atomization for optimized idle and tuning. Each set is flow-matched both statically and dynamically, and flow-balanced to within one to two percent. A flow report is included with each set of DeatschWerks fuel injectors. 1985 1986 1987 1988 1989 1990 1991 1992 1993 1994 1995 1996 1997 1998 1999 2000 2001 2002 2003 2004 LX GT GTS Mustang Roush Saleen & Steeda Vehicles. 1999 2000 2001 2002 2003 2004 Ford SVT Lightning 5.4L Supercharged. 1998 1999 2000 2001 2002 Chevrolet Camaro Z28 SS LS1 Pontiac Firebird Formula Trans Am. 1997 1998 1999 2000 2001 2002 2003 2004 Chevrolet Corvette LS1. 2001 2002 2003 2004 Chevrolet Corvette Z06 LS6. 2004 Pontiac GTO LS1. 2004 2005 Cadillac CTS-V LS6. No one else can stack up to the bold clean styling of our aftermarket Billet dress ups, Street Strip & Racing Suspension & Performance Parts for your late model American Muscle Car!